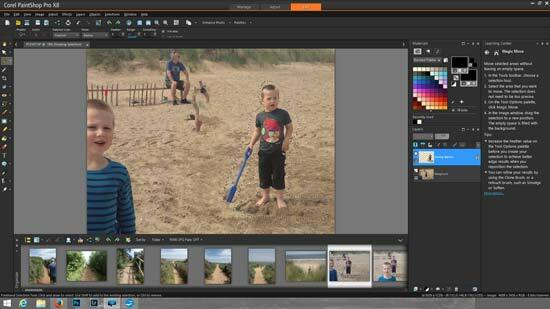 Corel are here again with the 18th version of their popular photo editing tool. 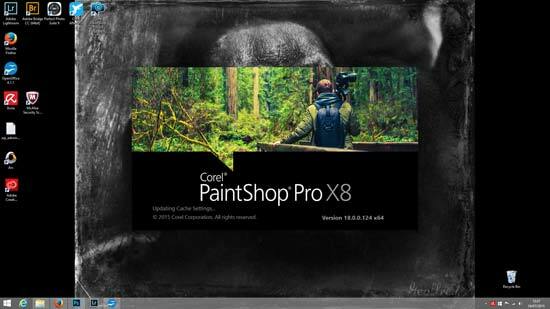 New features in Corel PaintShop Pro X8 include a Text Wrapping tool for adding text into an image, a Magic Move tool for relocating subjects in the frame, 4K monitor support, Lens Corrections as well as a few smaller features that have been suggested by users of the software. This latter point shows that companies do listen to their users and act on advice given to them. 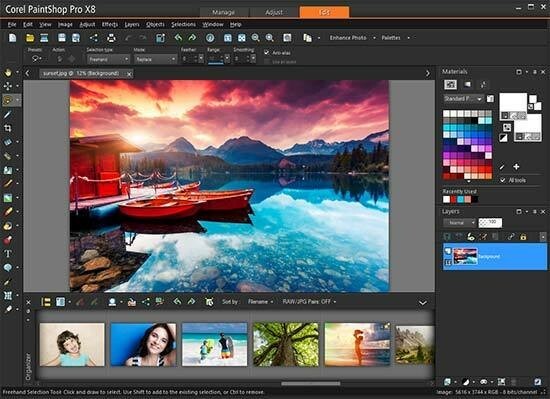 Priced attractively at $99 / £60, will Corel PaintShop Pro X8 still compete against the easy access Photoshop CC and have the new features edged it ahead of the game? 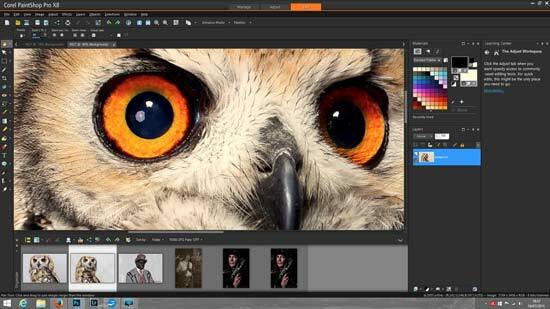 As well as some new features, there's been plenty of enhancements to existing ones in Corel PaintShop Pro X8. For example, Batch Process now has a wizard to assist in the operations, Layers has been overhauled to include a Quick Search, Expand/Collapse and the possibility to create a new layer from selected or visible layers. Camera Raw Lab layout has been redesigned with input from PSP users and now features a split screen for before & after. Once the Terms and Conditions have been read and agreed to, you can input the serial code and then you have the option of downloading either 32bit, 64bit or both. Corel recommend the dual download, but it does take up more disk space. Installation took us around two minutes in total – excluding reading the aforementioned T&C's. Upon opening the platform, we can see the overall look of Corel PaintShop Pro X8 is the same. It's split into three sections and you'll find that the majority of editing suites follow a similar principle these days. 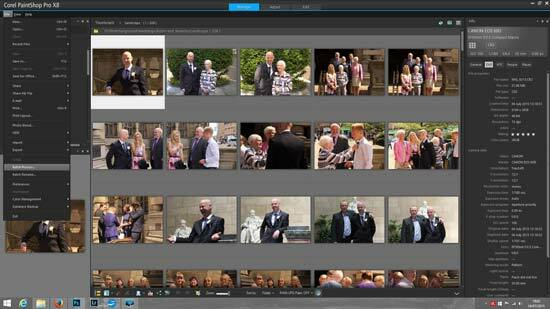 The Manage section allows you to select the image(s) you wish to edit. Once you've done that you can go into the Adjust section to make more global changes. For local editing, there's the Edit section. Loading an image takes you straight into the Edit section which makes us wonder why it's not next to the Manage section in the list at the top. Not that it really matters in the grand scheme of things, it would just look tidier and make it look more like a work flow. The Edit section is where you'll arguably do most of your work as it has the most editing tools. As we know, the Batch Process has had a new Wizard added to enhance the existing features and make it easier to use. 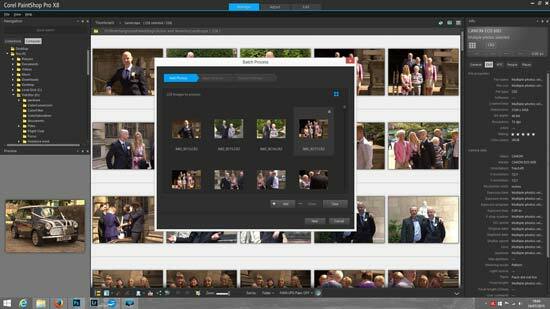 It's a simple three step window that pops up after you've selected the images you wish to batch process. Clicking “Next” will take you to the next window when you've done what you need to do. On the surface, it doesn't look like there's much. After all, there's only five options available to you. However, these options have extra menus for you to choose from and hovering the mouse over each one sometimes has to be done to find the edit option. You can load in a watermark at this stage if you've got one available. 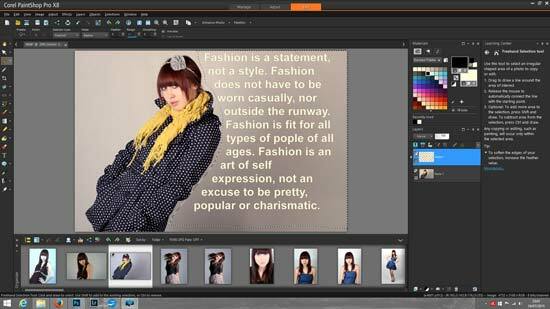 The biggest feature that Corel PaintShop Pro X8 boasts is the Text Wrapping feature. It works simply enough. All you have to do is create a box or shape using the selection tool and start writing in it. The text will automatically fit to the selection box you've made. It doesn't show any spelling errors, so be careful to proof anything you write on it. There also doesn't appear to be a way to start writing anywhere other than the top corner. However, you simply need to relocate the box if you want the text to appear in a different part of the image. 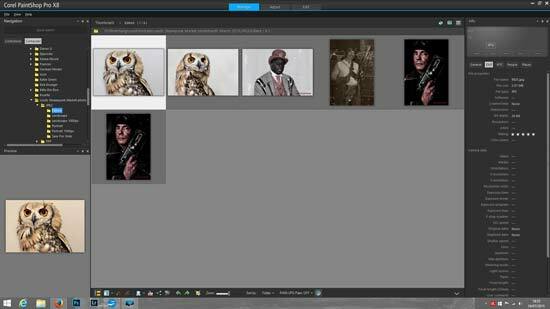 The other new feature in Corel PaintShop Pro X8 is the person/object relocate feature. Corel instructions and marketing says that you just have to select the person or object you want to move, move them and the program does the rest. However, as always with this kind of thing, it's not as simple as that. You do have to select the area you want to move, but then have to press the red cross in the top of the tool palette which enables Magic Move. Then you move it and the program will fill in the space for you. This may take a few moments, but it is working.